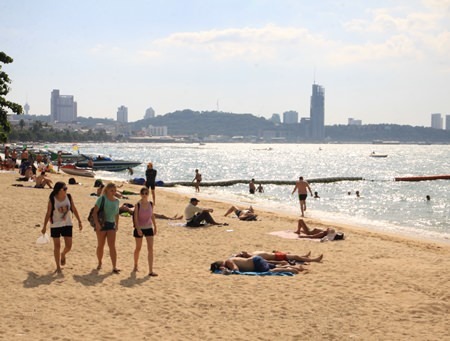 While Thailand has seen an overall boom in tourists this year, Pattaya is lagging behind other major tourist centers, the head of the Thai Hotels Association’s Eastern Region chapter said. 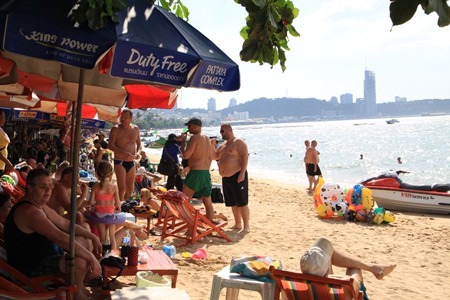 At the group’s Nov. 20 meeting at the Grand Jomtien Hotel, President Sanphet Suphabuansathien said growth in Pattaya’s occupancy rates came in at only 53.9 percent, last among tourist resorts. Chiang Mai’s growth came in first at 78 percent. 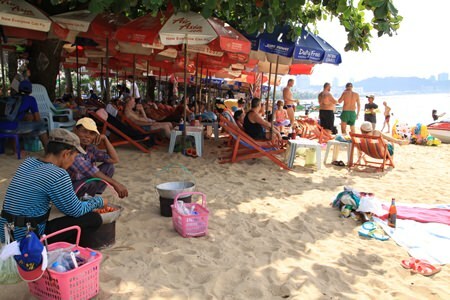 Although Pattaya lags behind other resorts in Thailand, tourism numbers are still rising year on year. Overall, Sanphet said, tourist statistics through October show Chinese visitors leading the way, nearly doubling their arrivals this year to about 6 million, a 92.4 percent increase over 2014. Malaysians were the second-largest group of visitors, up 47.1 percent, with Japan ranking third at a 14.1% increase. The surprise increases this year have come from Vietnam, which sent 570,000 tourists for a 38.5% increase; and India, which had 780,000 arrivals for a 17.5% increase. 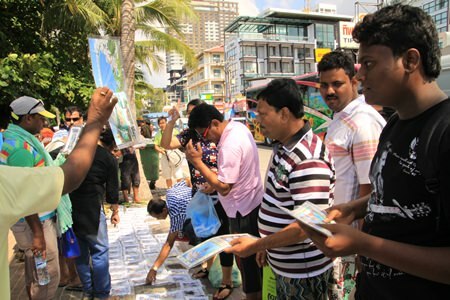 Meanwhile, tourists from Australia and Russia decreased 2.9 percent and 48.3 percent, respectively. Sanphet said the THA plans to participate in nine road shows in 2016, starting in Indonesia in January, Germany in March, Singapore in October, the United Kingdom in November and in Bangkok twice. Others shows are planned for China and Vietnam.